I should also point out that the next book Tennant looked at was none other than Felicity Dowker’s Bread and Circuses — and it is another lovely review! Hooray for Interzone! 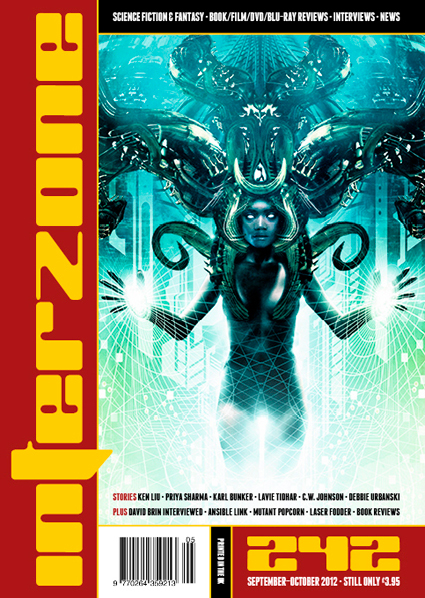 Subscribe to Interzone — or buy issue 242 to read the full review and snoopy dance along with me. Tags: bluegrass symphony, bread and circuses, felicity dowker, interzone, peter tennant, reviews. Bookmark the permalink. Previous post ← Two Brains, Two Launches! Congratulations, Lisa! As I said before, every praise you get is truly deserved! Now the next thing to come for “Bluegrass Symphony” is the World Fantasy Award. (I am keeping my fingers crossed 🙂 ).